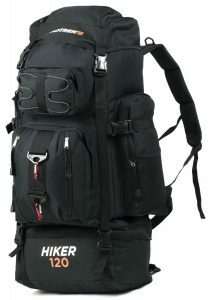 The Adtrek Hiker Backpack is one of my personal favourite bergens for stealth camping. It fits very snug on your back and is comfortable carrying over long distances. I love the multiple compartments and pockets which allow you to get to those stealth camping must haves quickly. A very neat and tidy design means it is also ideal for domestic uses and going on holiday.